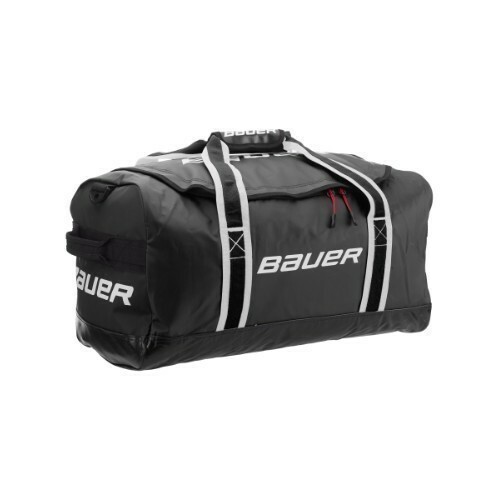 The Bauer Vapor Pro Duffle Bag 22" is an excellent choice for any hockey player's travel bag. Built to look exactly like your hockey equipment bag, this duffle is also every bit as durable. It has every kind of strapping you could possibly need: small but durable grab handles at each end, longer carry straps on each side, and an adjustable, removable padded shoulder strap. The Vapor Pro Duffle also has an internal zipper pocket that is perfect for those small, easy-to-lose accessories.